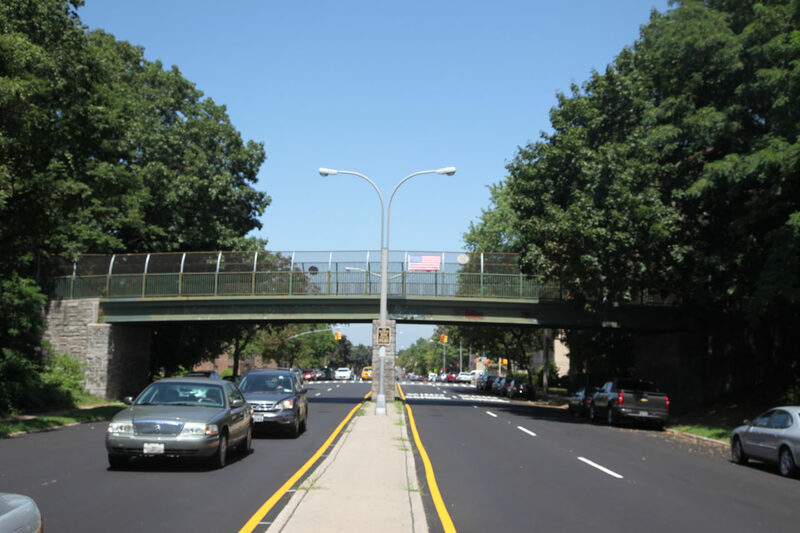 What is the location of this Motor Parkway bridge? Provide a rationale. The Central R.R. Motor Parkway in Queens. The trestle bridge places it in Queens or Bethpage. The "other" views helps to narrow the location. According to my favorite co-author Al Velocci, the abutments were built for the Central R.R. of Long Island in the 1800s for a future road that was never built. In an attempt to save money, the Motor Parkway utilized these existing abutments for their own bridge, added a trestle and curved the road from the original plan. 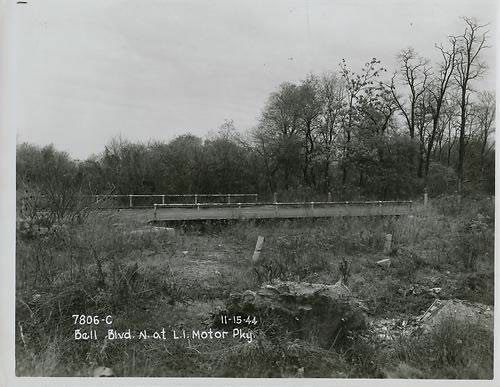 When was the bridge first used as part of the Long Island Motor Parkway? The trestle was placed on the abutments by the Motor Parkway in 1925 and likely opened in 1926. Congrats to Joe Oesterle, Alan W, Gene Perry, Art Kleiner, Frank Femenias, Tim Ivers, and Frank Mendyk. Kudos to Frank Mendyk for identifying the November 15, 1944 date. Close-up In an attempt to save money, the Motor Parkway utilized these existing abutments for their own bridge and curved the road. View from the Motor Parkway bridge on October 31,1928. Submitted by Mitch Kaften to Arthur Huneke's Railroad website. Another view of the bridge taken on the same day as the Mystery Foto. This aerial captured the unique curve of the Motor Parkway and provides the best details of the Motor Parkway Bridge over the Central Railroad Right-Of-Way. Courtesy of the Fairchild Collection at the Benjamin and Gladys Thomas Air Photo Archives. When the Motor Parkway closed in 1938, the original bridge was soon taken down and replaced by this existing bridge over this section of the Central Railroad ROW (later becoming Bell Boulevard). 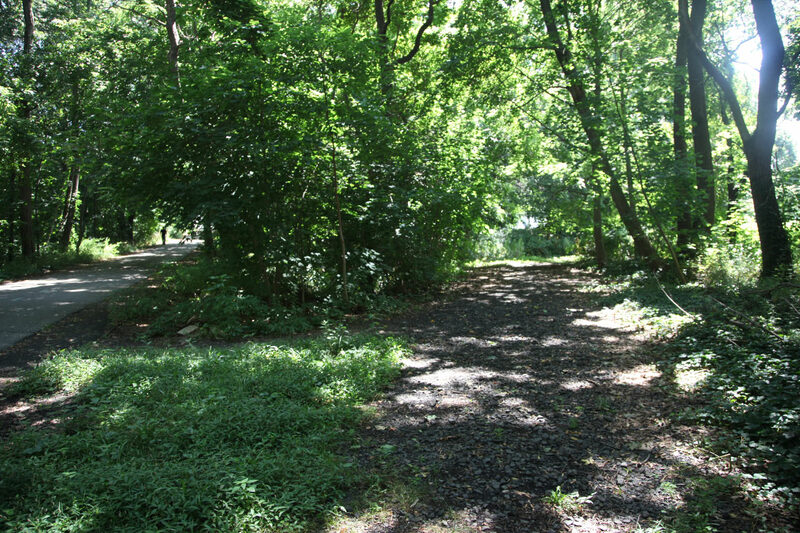 The path to the bridge also reverted back to the original straight ROW of the Motor Parkway, thus eliminating the curve. 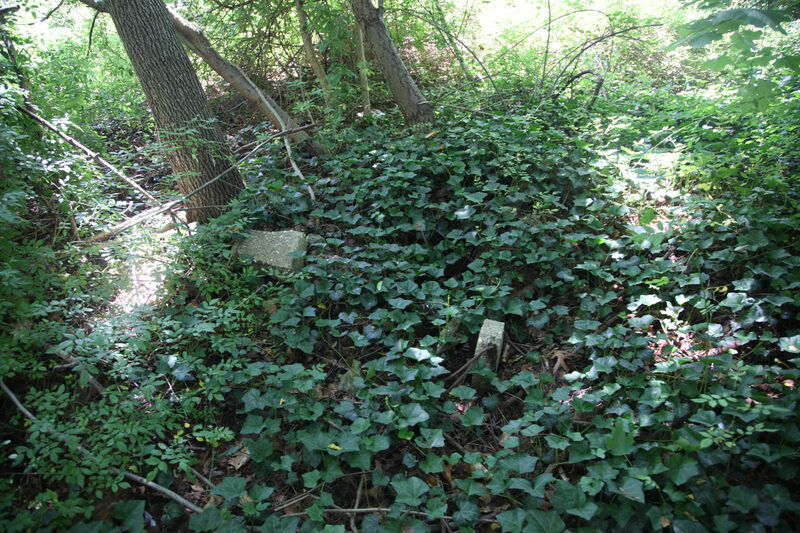 Just west of Bell Boulevard, pavement and post remnants of the original Motor Parkway curve still exist. Sam and Dave explore the Central R.R. Motor Parkway Bridge in Queens. I have never seen this picture before. 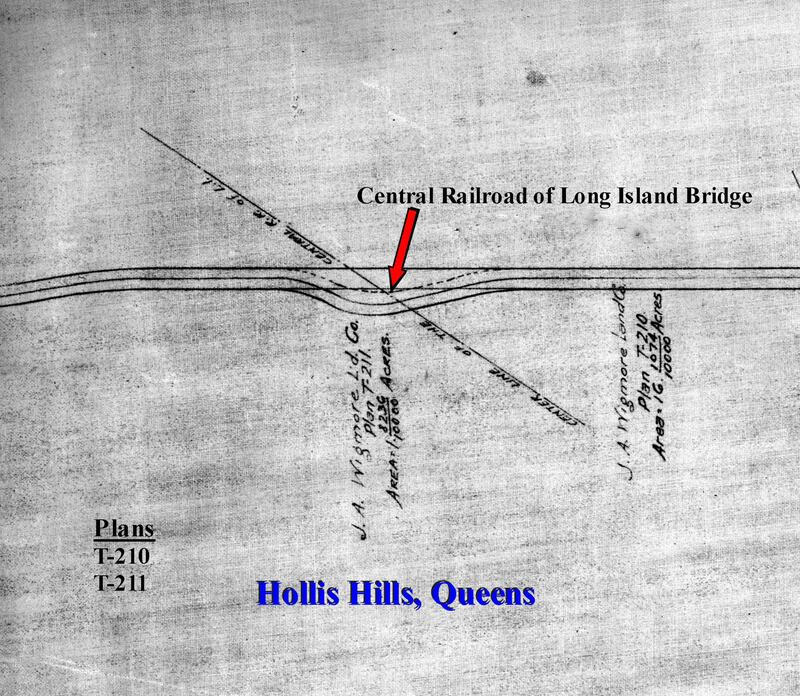 But I say it is the bridge over the old LIRR right of way, crossing the LIMP at what is today’s Bell Blvd. 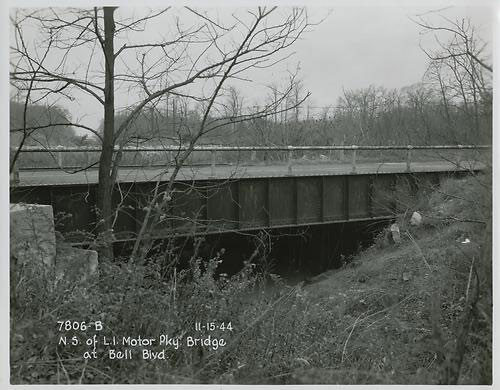 The current Bell Blvd bridge was build about 1940. At which time the LIMP was straightened. The older “S” turn can still be seen in the woods. That looks like the bridge across the Central Railroad Of Long Island right of way where today’s Bell Boulevard is located in Bayside . The Motor Parkway was re-routed slightly from its west-east course in order to make use of pre-built bridge abutments over the abandoned railroad pathway; it was subsequently restored to its straight line alignment once Bell Boulevard and the surrounding area were developed in the 1940’s (after the Motor Parkway became a bike path). This bridge was probably used from 1926-1938 when the western extension of the parkway was built. I am completely clueless . Can’t wait to find out! Based on the steel hand-rails or guard-rails that are visible, this could be the Creedmoor footbridge over the LIMP. I think it’s the only trestle style bridge that had railings. I think it was built in 1912 so it was probably used shortly thereafter. Just on a guess, I’ll date the photo around 1938 about the time of the LIMP’s closing. Long shot on this one as I’m stumped. How about the Motor Parkway bridge over the Central RR ROW in Queens. Bridge first used by the Motor Parkway in 1925 but the railroad had originally planned to have a bridge there in the 1800s. Fantastic photo of a never-seen-before LIMP bridge. This steel girder bridge (RR?) could be carrying the original-diverted LIMP over the old Central RR (Stewart Rd) in Alley Pond Park, where Bell Blvd passes underneath today. The heavy foliage in the background looks like a park setting, and the supplementary photo (looking south) reveals the same right curve of the CRR RoW. Continued construction of the LIMP westward from the Rocky Hill Rd terminus (Springfield Blvd) began around 1924, so this bridge was built shortly after, around 1925. 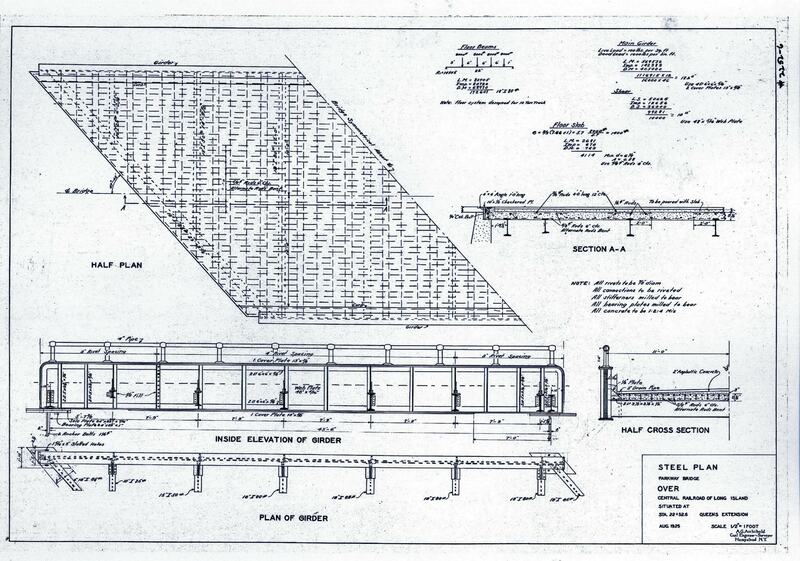 Attached is a 1925 blueprint of this bridge revealing similar girder and railing. Guessing the bridge was used between 1925-1938, then removed after the parkway was officially closed. After re-opening shortly after as a pedestrian/bicycle greenway, the present day bridge over Bell Blvd was constructed to allow a straighter path for the greenway. Photo was taken sometime before 1938. The original curved diversion for the Motor Parkway included plans to re-use abandoned abutments of the former CRR to save on construction costs. built about 1925. Photo taken in 1928. The photo is of the old LIMP bridge over the old ROW of the Stewart/LIRR Central Branch (future Bell Blvd). The bridge was constructed in 1925 for the new section of the LIMP. The bridge was used up until the closing of the parkway in 1938 and then used as a bike path before being taken down. A new bridge over Bell Blvd was then constructed and the ROW was made straight for the new section of the bike path. Didn’t have the time again for research, so I’m going with (probably wrong) guesses here since this bridge didn’t seem like it really matches any one of the 3 Nassau/Suffolk steel truss railroad bridges. Hi guys. I’m sure glad to happen upon “The Queens Library Digital Collection” website. In addition to LIMP images, there’s a whole slew of other collections as well. Take a look through the site, you won’t be disappointed. On the closer view of the overpass, you’ll see the 1 tree on the N/S of the bridge to the left. Then view further south or S/E. There’s the “V” opening high in the tree tops. I’m thinking that’s the ROW of the Stewart RR? The photographer is on the N/S of the bridge. Maybe standing on the E/S of Bell Blvd? I’m guessing Bell Blvd. is not seen because of the angle of the overpass? The comment above is wrong. Stewart’s CRRLI indeed was operational from 1869-73 & even had a stop called Frankensten that was located where today’s intersection of 73rd Ave and Francis Lewis are. There is a Stewart Rd off of Union Tpke by Bell that also follows this old ROW. Is every statement that I expressed with a ? mark incorrect? If so, would you mind being more specific? This unique overpass, interesting as it is; throws a curveball at me. Being a student of Sam Berliner III and Arthur Huneke’s Railroad History websites, I’m aware of the Stewart/Central RR particulars, etc. So much fun coming across these 1944 images of the original LIMP bridge/trestle over the Central RR ROW. 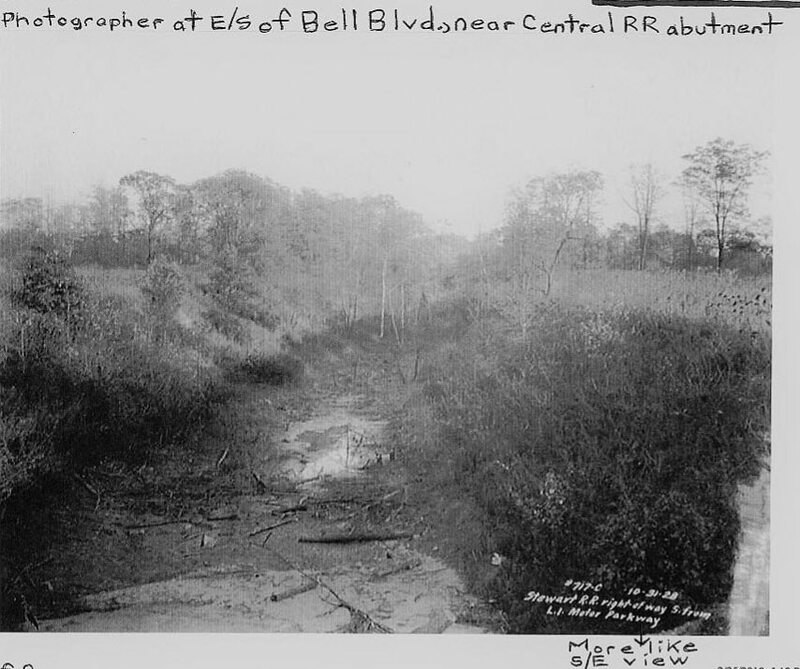 Does anyone happen to know or remember when Bell Blvd was established? The “NY CITY Map ” website ( 1924 aerial ) displays a very narrow path or road that dead ends at the north side of the Central ROW. This path/road lines up with today’s Bell Blvd. The LIMP doesn’t extend to this area yet in 1924, but we know this will happen soon after. Then the 1951 aerial displays Bell Blvd, LIMP basically how it looks presently. The original LIMP curved section is clearly seen as well. The RR bridge abutments that were utilized were situated just west of Bell Blvd. With this information, Bell Blvd didn’t extend south of the LIMP say until after 1940? 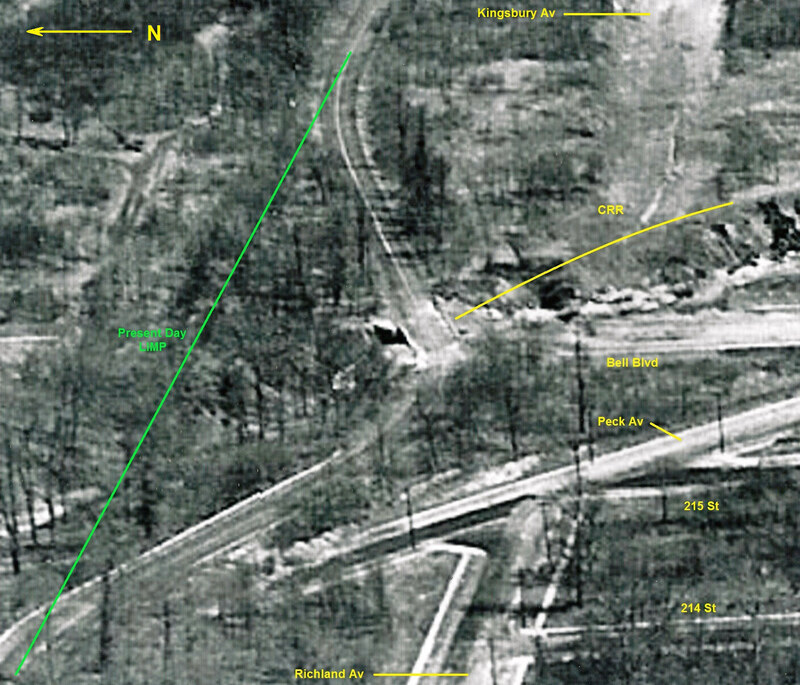 The 1941 image above displays what must be Bell Blvd north & south beneath the original LIMP ( no new bridge yet ). The 1944 images describe as “The proposed extension of Bell Blvd”. And I don’t see any hint of a road in 1944. Thinking the mystery images to be 1940 or older. The original LIMP was set to run a dead west from Rocky Hill Rd. No overpass was needed being that Bell Blvd didn’t exist yet, and the Central RR ROW was basically abandoned. Don’t think anyone expressed this yet, but I’m thinking that the entity that still owned the RR ROW must have requested the parkway not to sever the ROW. The LIMP organization agreed, and utilized the old RR abutments instead of starting from scratch.